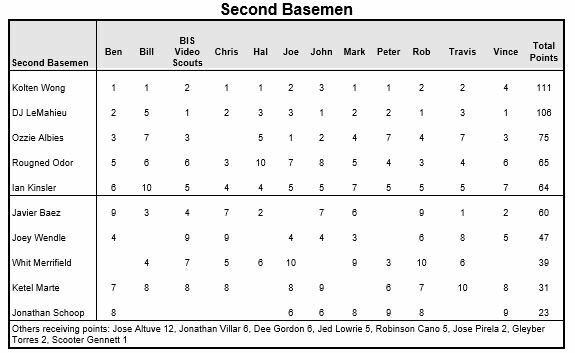 Below we show the final point tally for The Fielding Bible Awards in the 2018 season. 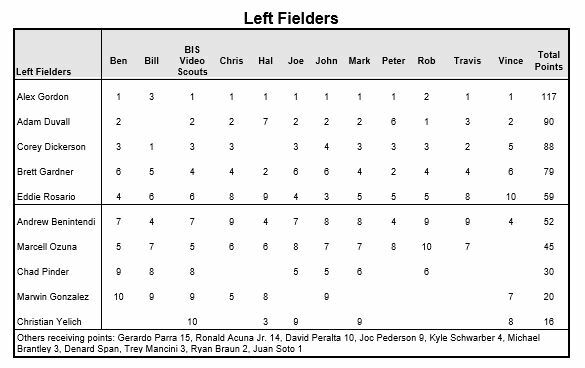 We asked a panel of experts to complete a 12-man ballot ranking players from 1 to 10 based on their defensive abilities. 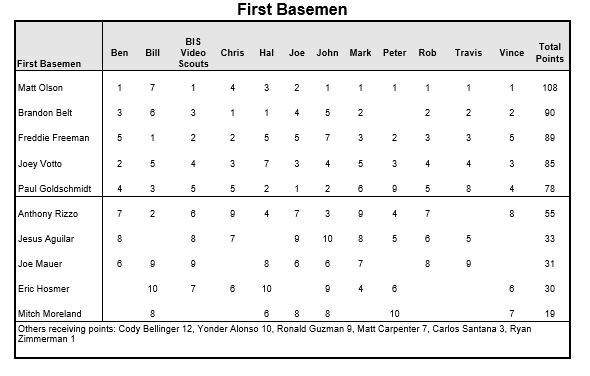 We show the ranks in the tables below. 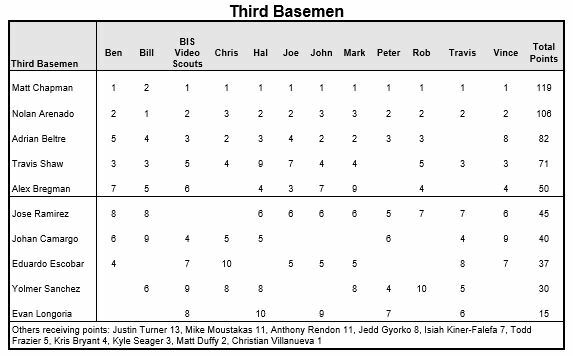 We then awarded points in the same way as Major League Baseball’s MVP voting: 10 points for a first place vote, 9 for second, etc., down to 1 point for 10th place. 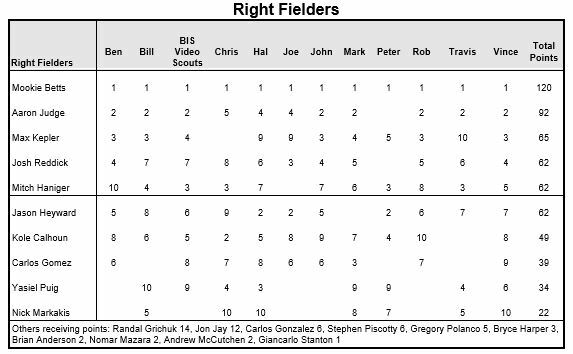 We cover all nine positions, looking at only their fielding work for the 2018 season. 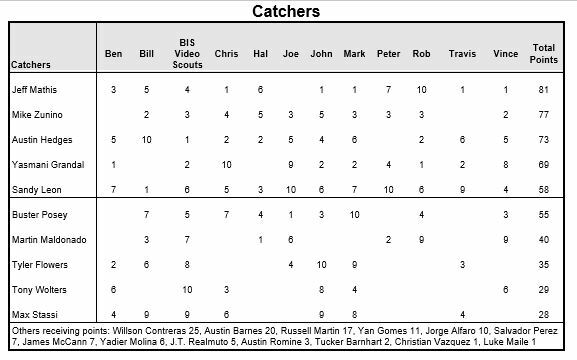 Position players are eligible if they played at least 600 innings while catchers require a minimum of 500 innings. 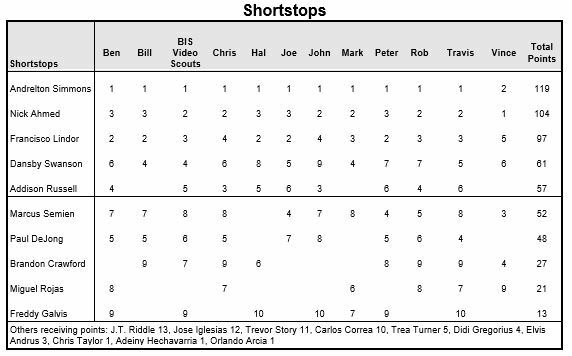 Either can qualify with 10 Runs Saved, as well. 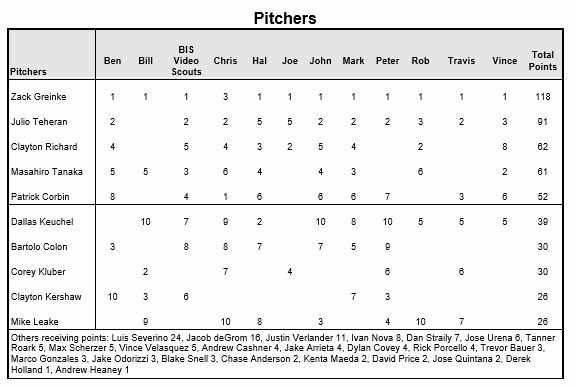 Pitchers require a minimum of 120 innings pitched or 5 Runs Saved. In 2014, we introduced a Multi-Position Award for fielders who are excellent defensive players but do not call any one position their home. 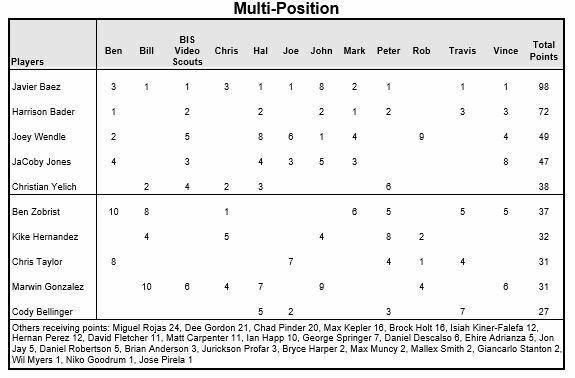 For a player to qualify for the Multi-Position Award, he must have played at least 600 innings across all positions and played no more than 70 percent of those innings at any one position.